George J. Howe opened a tiny grocery store in Grove City, Pennsylvania in 1917. In an attempt to boost his steady business, he purchased a small coffee roaster and began roasting coffee beans in the store window. Customers would receive a free pound of Howe’s unique blend if they purchased $10 worth of groceries. Within days, people were traveling from out of town and lining up in droves to scoop up their free pound of coffee. And with that, Howe’s famous gourmet coffee was born. With expanded facilities and modern equipment, the company’s product line under the name “Daily Delight” grew beyond just coffee. Fresh roasted peanuts and candy were added as were tea and other semi-perishable products. 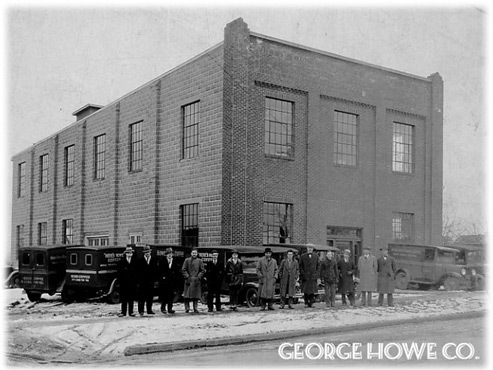 Over the years, the reputation of Howe’s quality and service continued to spread. Today, the Howe Company is a full-line candy and nut distributor, as well as a purveyor of food service and gourmet coffees. Mr. Howe’s grandson, Richard Beech, also the son of past company president George Beech, serves as Chief Executive Officer. Richard’s brother-in-law, Ernie May, a member of the Candy Hall of Fame, is company Chairman after serving as president from 1975-2007. Ernie’s son, Richie, has worked for the company since 1988, continuing four generations of family involvement. “Here’s Howe” products are currently sold in hundreds of grocery stores and retail chains that extend from the Ohio Valley to the Jersey Shore. Howe’s experienced staff of sales representatives and independent distributors personally service 90 percent of the company’s accounts. In 2003, the company began selling its coffee, candy and nuts to all 50 states online at www.georgehowe.com.